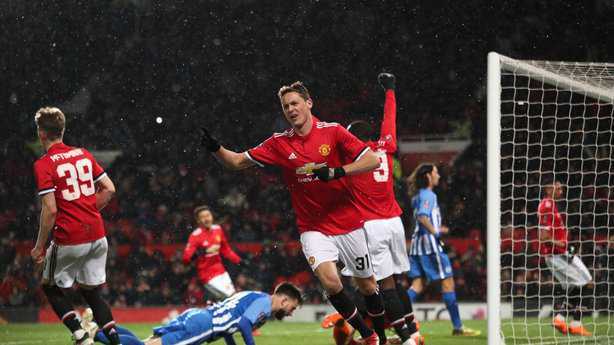 Jose Mourinho castigated Manchester United's players despite reaching the FA Cup semi-finals, accusing everyone other than Nemanja Matic of lacking personality, class and desire in the unconvincing defeat of Brighton. 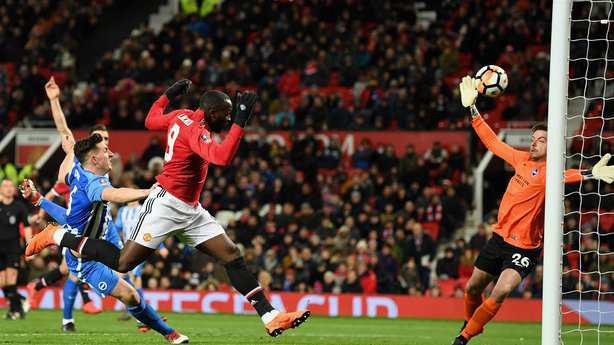 Romelu Lukaku and Matic headers secured the Red Devils a return to winning ways before the international break, with the 2-0 quarter-final victory preventing their season from being sent into a tailspin. 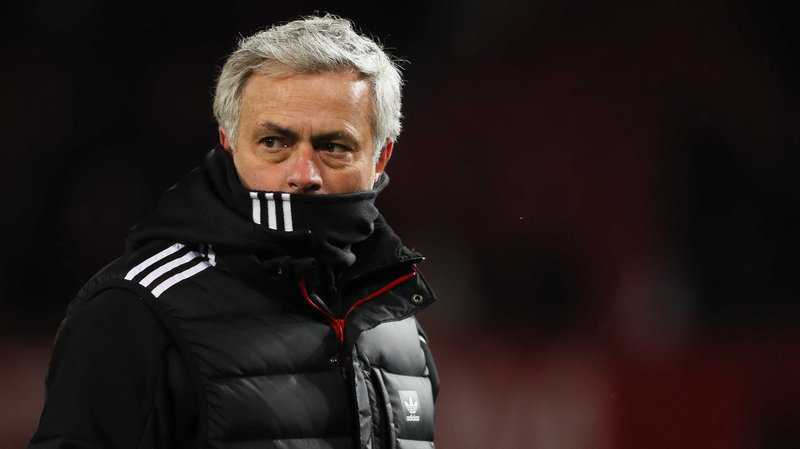 But the response to Tuesday's shock Champions League exit at home to Sevilla was meek at best on a bitterly cold evening at Old Trafford and Mourinho did not hold back after the game. There was no lengthy soliloquy like Friday's extraordinary pre-match press conference, but his words carried more bite after securing progress to Wembley. "I'm not happy with the performance at all - but I'm happy with the result," he told BT Sport. "I wanted more personality in the team because many, many times I felt that Matic was an island - an island of personality, of desire and control - surrounded by, not water, but by a lack of personality, of class and desire." Mourinho did not finish there, continuing the criticism in the post-match press conference. "A few other guys, I saw them scared to play," he said. "Look, I cannot say much more. "I think it is a relation with personality, is a relation to trust, is a relation to class. "And, you know, when the sun is shining, and the sun is shining in football in a period when everything goes well, you win matches, you score goals, everything goes in your direction. "Every player is a good player and every play wants to play and wants the ball, looks confident to play and looks amazing. "When it is dark and cold - and that in football that means a period of bad results or a bad result like happened to us a couple of days ago - not everybody has the confidence and the personality to play really." Among those in for criticism was old target Luke Shaw, whose fleeting United resurgence under Mourinho looks to be over again having been take off at half-time. The United boss would have taken off similarly out-of-sorts Antonio Valencia but chose Shaw as at "least Antonio defensively was capable of some good positionings". But while the left-back is used to such criticism, aiming it at the rest of his squad looks a gamble. Asked if it could backfire, Mourinho said: "Yeah. "My calculation is that without pressure, they don't perform well, what can I lose? "The ones that are always there are the ones that will be always there. That is an example of personality. "You have the kid that didn't play well at all (in Scott McTominay). "I told him already, he was the first one I spoke individually in the dressing room and instead of being critical with him, I was positive with him because you play very bad, but you did the basic things of what a player has to do. "One of the basic things is you keep the emotional balance and you play with that red shirt, it is a heavy shirt to wear, and the kid in his worst performance by far, he was there, and he had body to wear the red shirt. He was not afraid to play. "He played bad and every player can play bad, but to feel not comfortable to play, 'please, mister take me from the pitch', I felt that. "So, I have nothing to lose in relation to that. The strong ones will be always the strong ones. "The young ones under pressure and criticism improve or don't improve." It was another striking press conference - quite different to level-headed Brighton manager Chris Hughton. "Delighted with the performance from our team," he said. "The only difference were the moments in front of goal and the quality they can produce. "I thought we were always in the game and gave them a good enough game."